People were saying April was more like March. But after a long winter, spring finally came to the Berkshires and people were so relieved. Returning from Mexico on April 20th, I expected the daffodils to be over and looking sad as they droop down and the tulips to have been simply chewed by the deer. 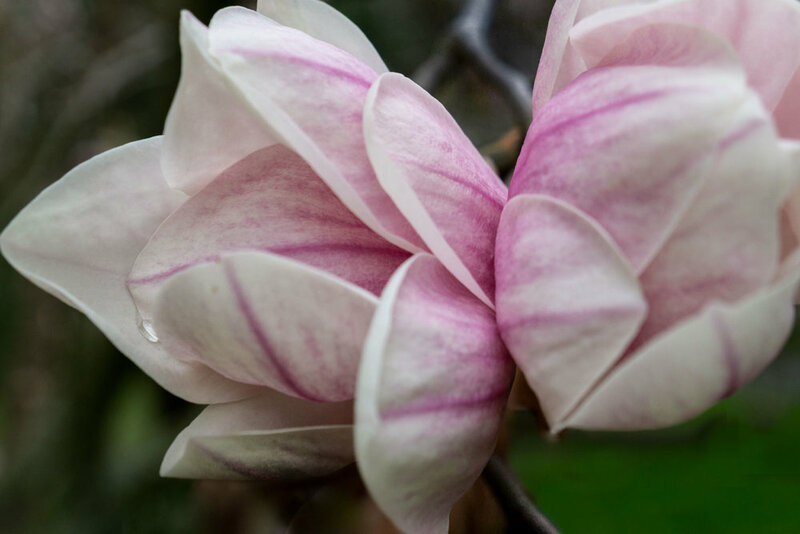 Magnolias such as the one above might have been zapped by a late frost. This year though they miraculously knew to wait before setting out buds. What a display they could then put on! Magnolias are not the only stars. 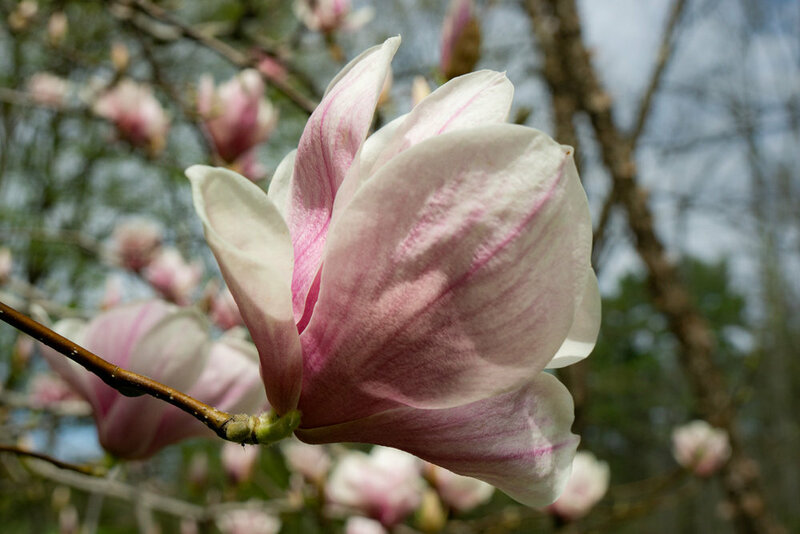 (There is a star magnolia however). 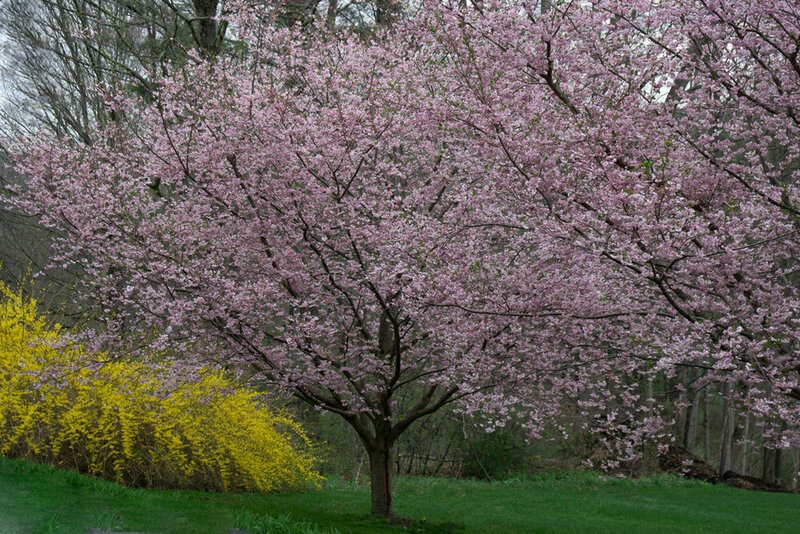 On a bike ride to Alford I came across flowering cherry trees next to forsythias. Quite a combo. Below are what is referred to as "spring ephemerals". Since nature, particularly spring IS ephemeral we might wonder: "what's the difference?". From my garden here are white bloodroots, red trillium, a native yellow wild trout lily in the woods and blue chionodoxa. One of my favorites that emerge in May: ferns and in particular, fiddleheads. Time to go sauté some I've collected. The true announcement of spring: a mass of forsythia.